Knowles, L. 2003. 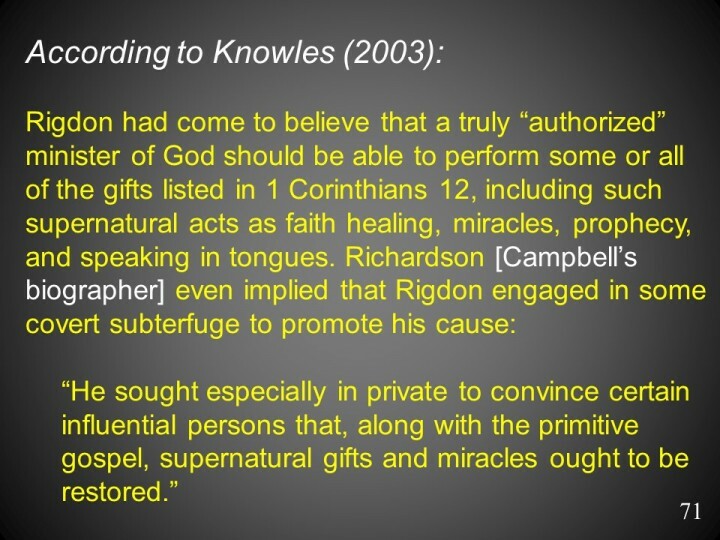 Sidney Rigdon: The Benedict Arnold of the Restoration Movement. Stone Campbell Journal 6(1):3-25.